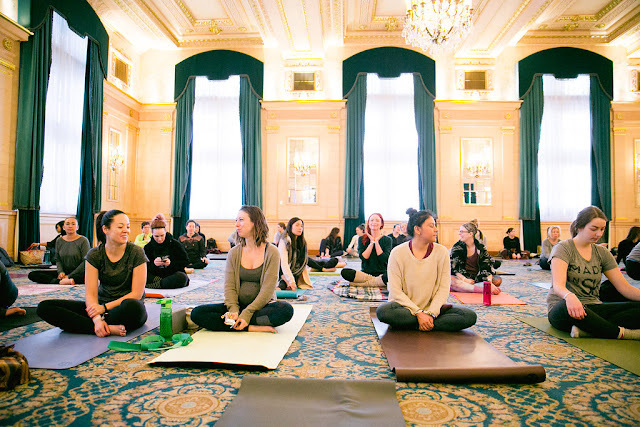 Join me on Saturday, November 18 from 1 - 3pm at Yoga Public Winnipeg for WHITE LIGHT. 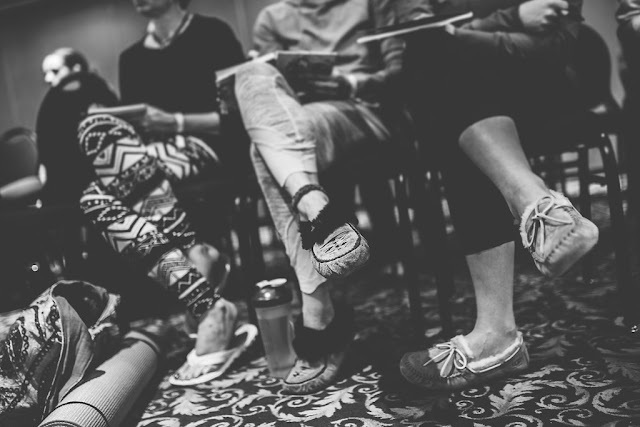 In this workshop we'll explore the seven major chakras, the physical + psychological ailments that occur when they are out of balance, and the asana practices we can use to heal them. 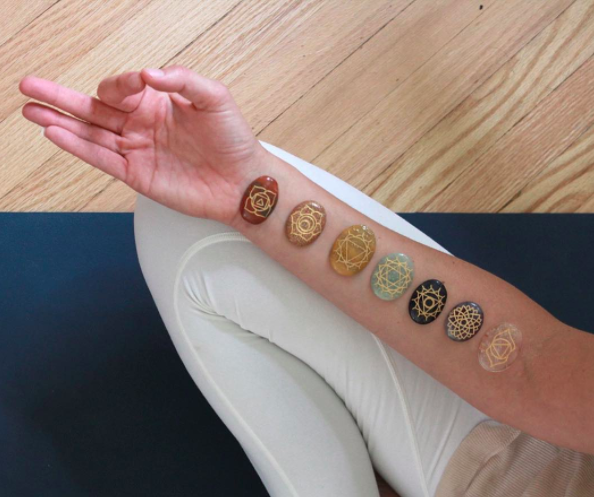 Live soundscapes by Ali Khan and Sweet Spirit Apothecary Essential Oil Adornments enhance your experience of discovery and connection. 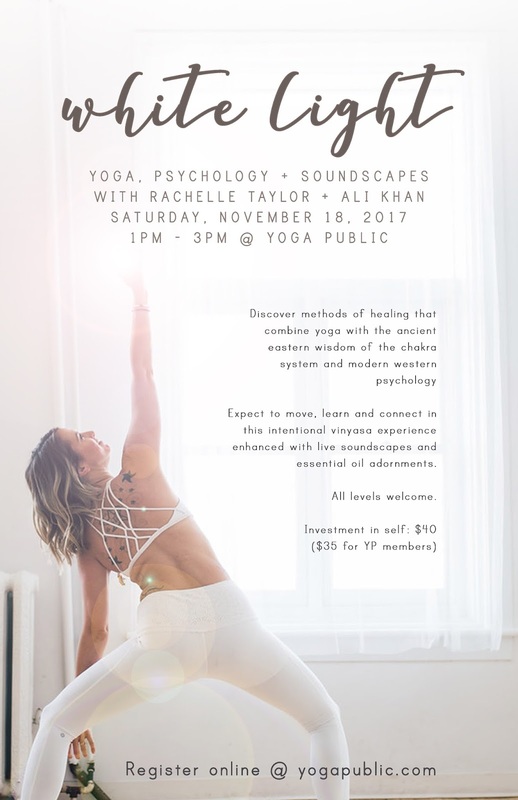 Investment in self: $40 ($35 for Yoga Public Members). Space in this workshop is limited.